It is strange to a barangay whose name was derived from one of the God-given natural resources, the second basic need of an individual to survive. The name Aguada was derived from a Latin word “Agua” which means water. Aguada is geographically situated southeast of Magallanes. 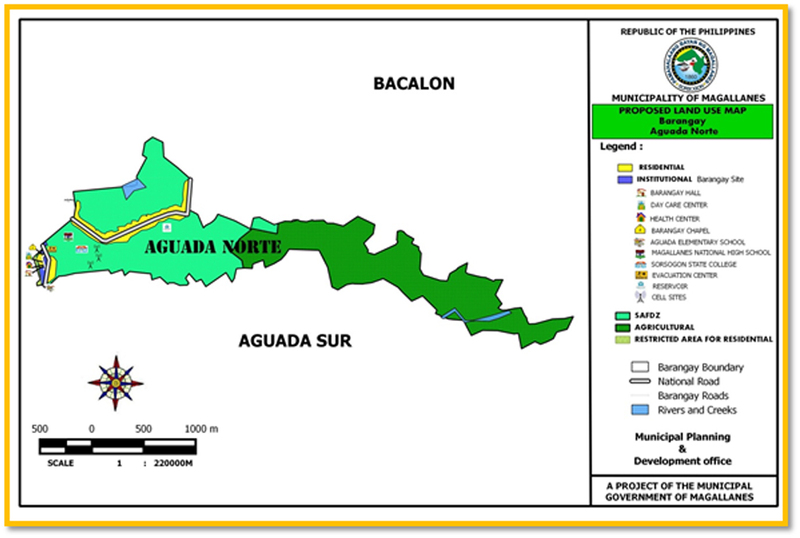 It is composed of two political barangays, the North and the South Aguada. Way back in 1939, Aguada was called a barrio headed by a Teniente. The first Teniente of the two villages were the late Mr. Santiago Oliva in the south and Mr. Felix Honrubia in the north. In the northern part, the Teniente del Barrio are Aureo Honrubia and Pedro Honrubia followed by Barangay Captains Santiago Dipon in 1944 to 1968, Remus Honrubia in 1968 to 1971, Romeo Dipon in 1971 to 1997 and Mauricio Añonuevo Jr. in 1997 to 2007. At present the Barangay Captain is Elizabeth H. Malonzo who served from year 2007. 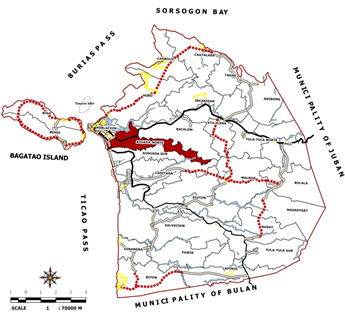 Barangay Aguada Norte is one of the urban barangay in the municipality of Magallanes, province of Sorsogon. It is bounded on the north by Barangay Bacalon, on the south by Barangay Aguada Sur, by Barangay Caditaan on the east and Poblacion Barangays on the west. It has a total land area of 293.0612 hectares divided into eight (8) puroks. It has a total population of 1,511 individuals composed of 784 males and 727 females and a total household of 341 with an average household size of 5 individuals based on Rapid Community Based Monitoring System Census of 2014. Barangay Aguada Norte has 34 children under 1 year old and 138 children 0-5 years old. Children 6-12 years old is composed of 275, these are the children in elementary years while there are only 159 members 13-16 years old in high school years. There are 438 members of the labor force. 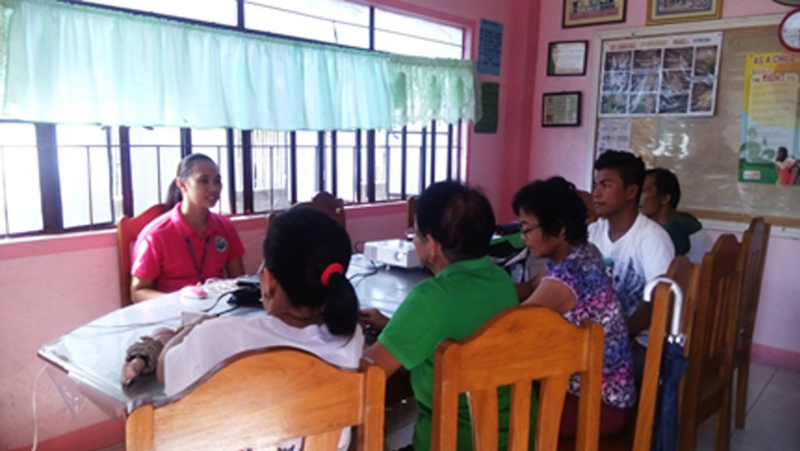 The Barangay Health Center of Aguada Norte is the primary health care provider in the barangay administered by the Barangay Health Worker and assisted by Midwife from the Municipal Health Office. There is also a Barangay Nutrition Scholar who organizes nutrition-related programs, projects and activities in the barangay. Based on the result of the 2017 Operation Timbang, there are three (3) malnourished children in the barangay and there were no records of children under 5 years old who died but with one (1) woman who died due to pregnancy related causes. Barangay Aguada Norte has a Day Care Center which accommodates children ages 3-5 and an elementary school from Grade 1 to Grade 6. One of the prime high school and the only tertiary school in the municipality is located in the barangay which is the Magallanes National High School and Sorsogon State College Magallanes Campus. 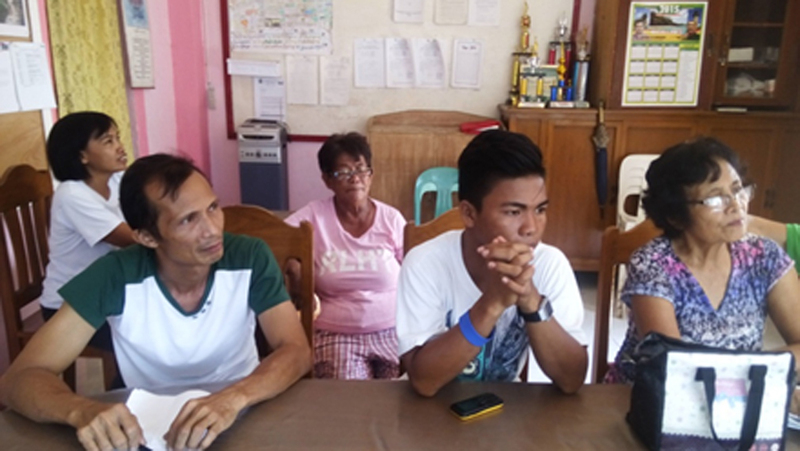 The barangay’s source of water came from its own water source wherein 338 households have access while the remaining 3 households which are distant from community water system are accessing water from other sources. Electricity in the barangay is accessed only by 234 households through the Sorsogon Electric Cooperative I (SORECO I), the local electric cooperative servicing the southern part of Sorsogon province. However, at present, the barangay had availed of the program for indigent household electrification which started implementation in 2015. Thirty one percent of the households’ garbage are being collected, 26% are burning their garbage and dumping in closed pit, and 18% are recycling and segregating, while other are composting, dumping in an open pit and throwing in river. 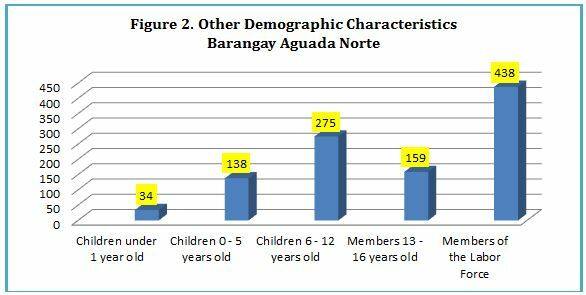 Based on the figure below, the barangay has 34 children under 1 year old and 138 children 0-5 years old. Children 6-12 years old is composed of 275, these are the children in elementary years while there are only 159 members 13-16 years old in high school years. There are 438 members of the labor force. 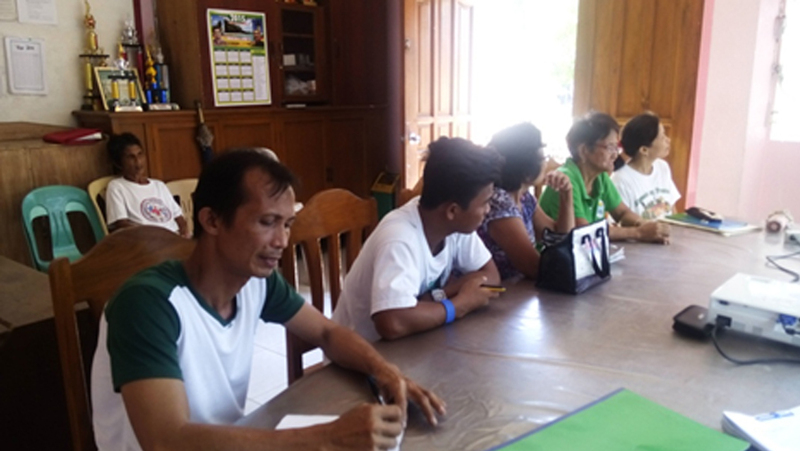 Barangay Aguada Norte has a total population of 1,517 and a total household of 341 with an average household size of 5 individuals based on Rapid Community Based Monitoring System Census of 2014. Among puroks, the most populated is Purok 8 with 291 individuals and the least populated is Purok 2 with 92 individuals. 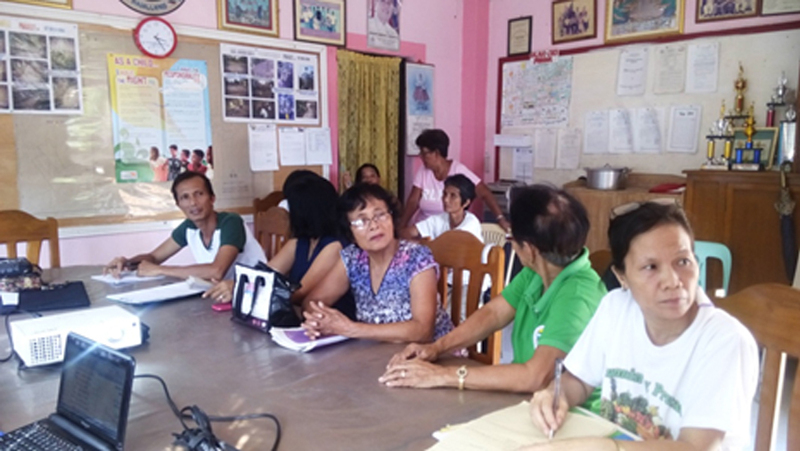 There are 784 males and 727 females in the barangay based on the Rapid Community Based Monitoring System (RCBMS) Survey of 2014. 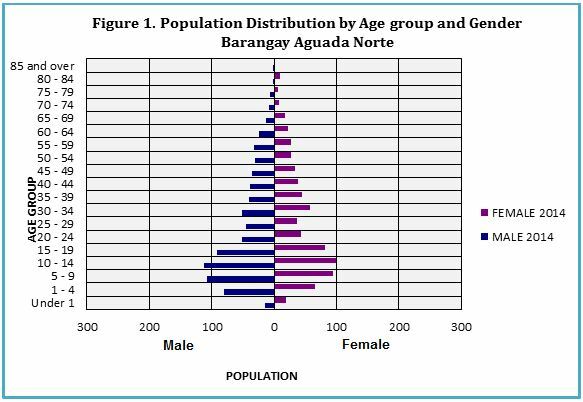 The age – group population structure (Figure 1) shows that the barangay has a dominant young population consisting of age groups 1 to 19 years old. The broad – based pyramid resulted from a high fertility and mortality in the past. The result of the 2017 Operation Timbang conducted by the Municipal Nutrition Council showed that in Aguada Norte there are three (3) malnourished children in the Barangay which is lower in proportion compared to the benchmark. Despite intensive monitoring and campaign in terms of proper nutrition as well supplemental feeding, malnutrition is still present due to insufficient food intake in the household level. There were no cases of child deaths below 5 but with one (1) case of woman who died due to pregnancy-related cause in the past twelve months. This can be attributed from the regular programs conducted by the Municipal Health Office such as regular check-up and immunization of pregnant women and monitoring of the health condition of children. The water need of the locality is sourced from Magallanes Waterworks System through CAANAS which serves the majority of the households in the barangay wherein 62% are accessing Level III potable water supply, 23% are accessing a Level II potable water supply and the remaining are using water from shared tubed/piped deep well and protected spring. There are 42 households in the barangay without access to sanitary toilet facility which constitutes 12% of the total household.